A young man has reportedly died in his girlfriend's arms after something happened when they went to an Indian restaurant. Dylan Hill, an 18-year-old boy with a severe nut allergy died in his girlfriend’s arms after eating a curry, an inquest heard. According to Metro UK, the teenager collapsed after dining at an Indian restaurant with girlfriend Demi Cash. He did not have his life-saving EpiPen with him on the night of May 17, 2015, an inquest heard. Demi told Sheffield Coroner’s Court that Dylan had a severe peanut allergy and would only carry the device ’50/50′ and sometimes forgot to take it out with him. 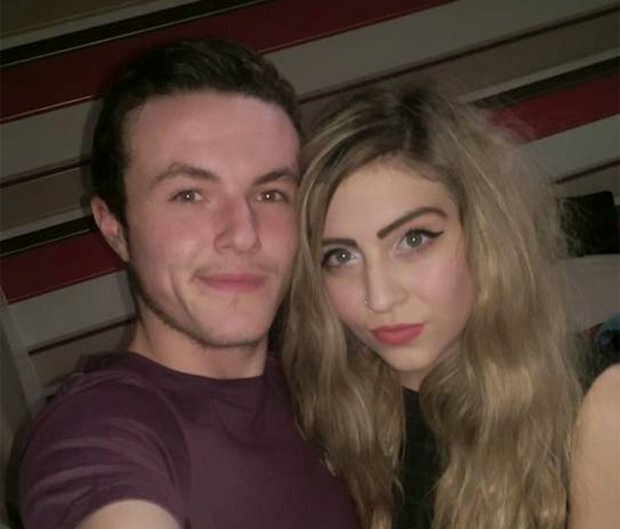 On the night of Dylan’s death, the pair had been on a date at Shaam’s restaurant in Barnsley where Dylan had ordered a korma and Demi had ordered a jalfrezi. Demi described how they had checked the menu ‘to make sure there were no mention of peanuts’ in the ingredients list. After ‘only one or two spoonfuls’ of his meal, Dylan described how it ‘it was different to what he had before’. Demi told an inquest: ‘At that point, the waiter offered to swap the meal. The waiter said that there were almonds in it but not peanuts. ‘It took around 15 or 20 minutes for the next meal [described as a chicken curry] to come out. Demi described how Dylan, an apprentice builder from Barnsley, South Yorks., told her he ‘always felt like that’ if he had eaten something he ‘wasn’t sure about’. Demi said she remembered feeling like Dylan had been ‘gone for a long time’ before he returned in a panic to the door. She added: ‘He came to the door and said, “can you ring my mum to get my EpiPen?”. As soon as I rang his mum she told me to ring an ambulance.’ In tears from the witness box, Demi described how Dylan staggered outside before grabbing on to a gate in the garden. Demi was on the phone to the ambulance operator who told Dylan to ‘breathe in a certain way’ and described how the operator said, ‘to me it sounds like he is alright’. In December 2014, it became a legal requirement for any business serving non pre-packed food to inform customers of allergenic ingredients contained in their dishes. Information can be displayed on a menu, blackboard or given verbally, but if given verbally businesses must have a clear sign or indication on the menu that information can be obtained by asking a member of staff. An inquest into Dylan’s death was opened and adjourned in 2015 but no criminal case was brought by the CPS after his death.